Ahlen, January 2013. – Nothing cheers us more after the cold winter months than watching spring awaken. Nature bursting into buds, an ever increasing plethora of plants displaying their first flush of blooms. Inspired by this, floral patterns have become a trend that has made it into our homes. Presenting delicate ornamental lily patterns for baths and enamelled shower surfaces, Kaldewei provides the ingredients for an individual statement in the bathroom. The lilies of the exclusive decoration entwine in understated grey shades across the surface of superior Kaldewei steel enamel. Premium manufacturer Kaldewei offers separate ornamental lily patterns for bath models and enamelled shower surfaces in Alpine White or Black. The aesthetic flower décor – developed by award-winning design firm Phoenix Design Stuttgart/Tokyo – harmonises beautifully with the timeless design of Kaldewei’s enamelled products. As a creative statement, it is the perfect choice for any bathroom to add a little something extra. The organic design of the decoration makes baths and shower surfaces with lily pattern the perfect match for bathrooms with natural floors of wood, stone or simple tiling. The floral pattern is available for 14 selected Kaldewei bath models – including Centro Duo and Asymmetric Duo – and for the floor-level enamelled shower surfaces Conoflat, Ladoplan, Superplan Plus, Superplan and Superplan XXL. The ornamental lily pattern is permanently burnt into the Kaldewei enamel for unparalleled durability and long life of the filigree décor promising a daily experience of spring in the bathroom. The organic design of the decoration makes baths and shower surfaces with lily pattern the perfect match for bathrooms with natural floors of wood or stone. 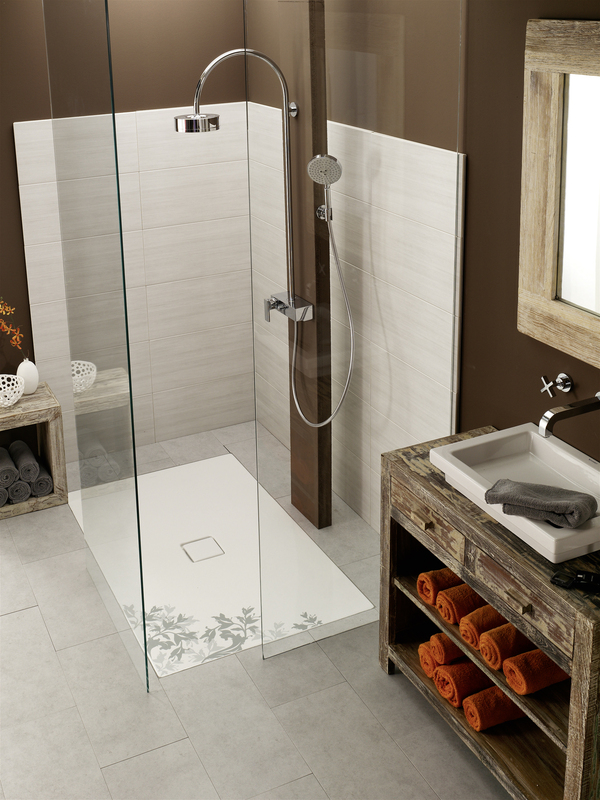 Shown here: Kaldewei’s enamelled shower surface Conoflat in Alpine White with ornamental lily pattern. Kaldewei provides arresting design objects for the bathroom with ornamental lily patterns on enamelled shower surfaces and baths in Black or Alpine White. 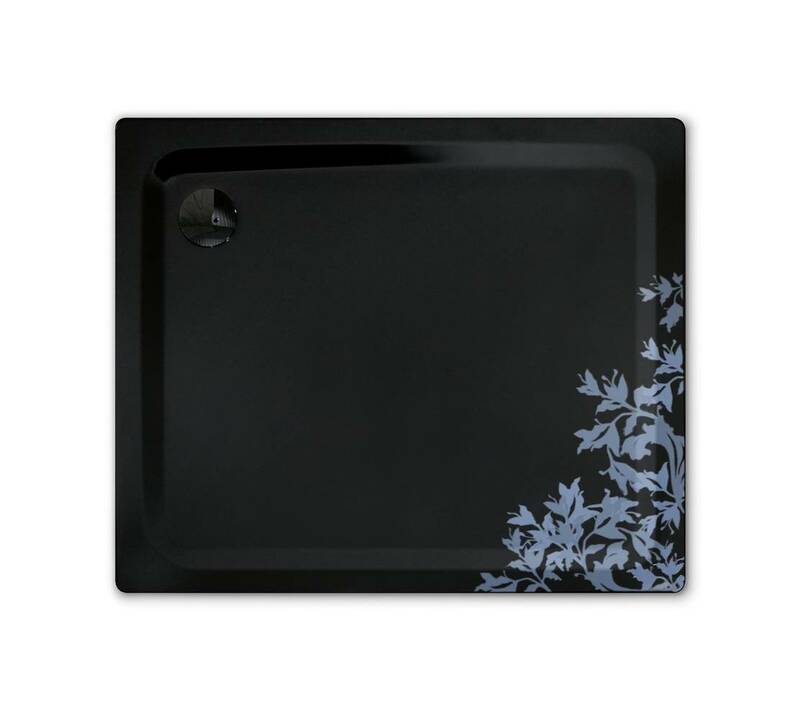 Shown here: Kaldewei’s enamelled shower surface Superplan in Black with ornamental lily pattern. The lily patterns for Kaldewei were developed by award-winning design firm Phoenix Design Stuttgart/Tokyo to add the look of spring to individually styled bathrooms. 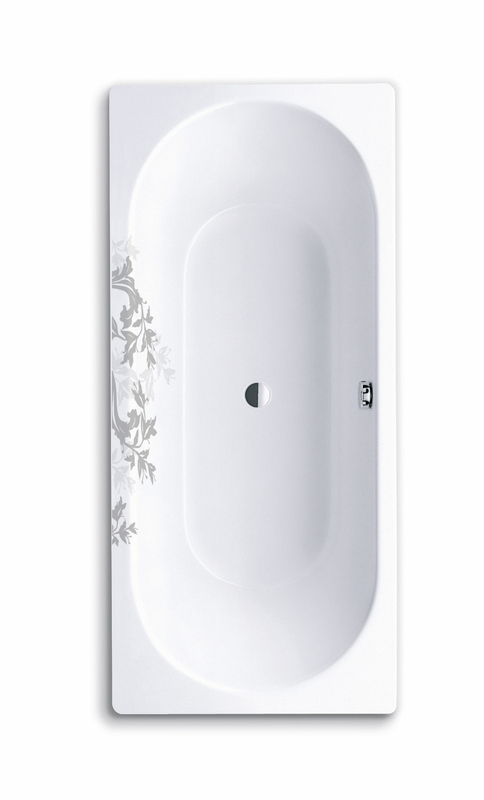 Shown here: Kaldewei’s Centro Duo bath model in Alpine White with ornamental lily pattern.